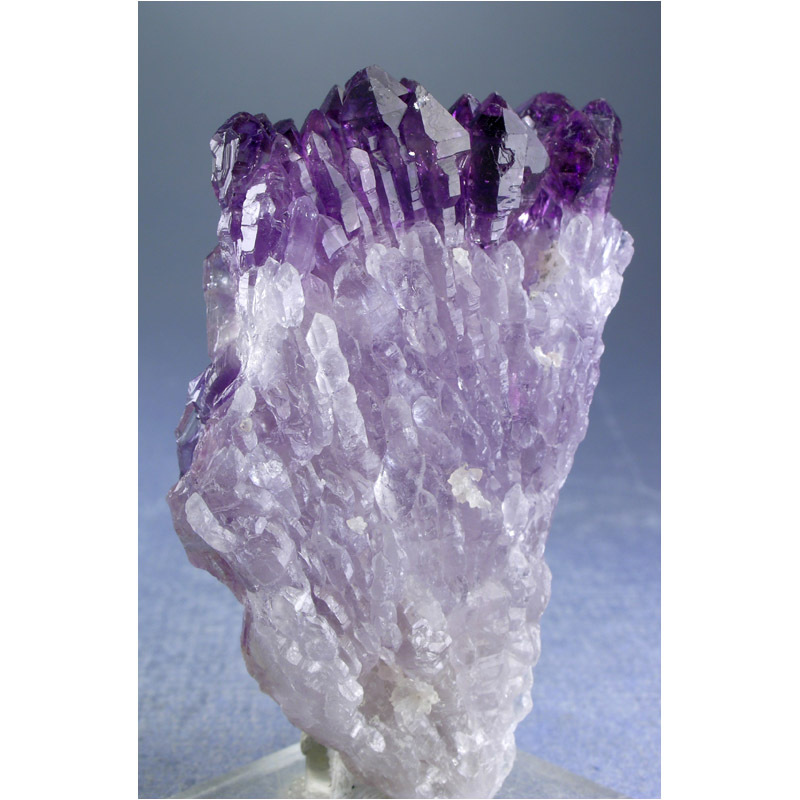 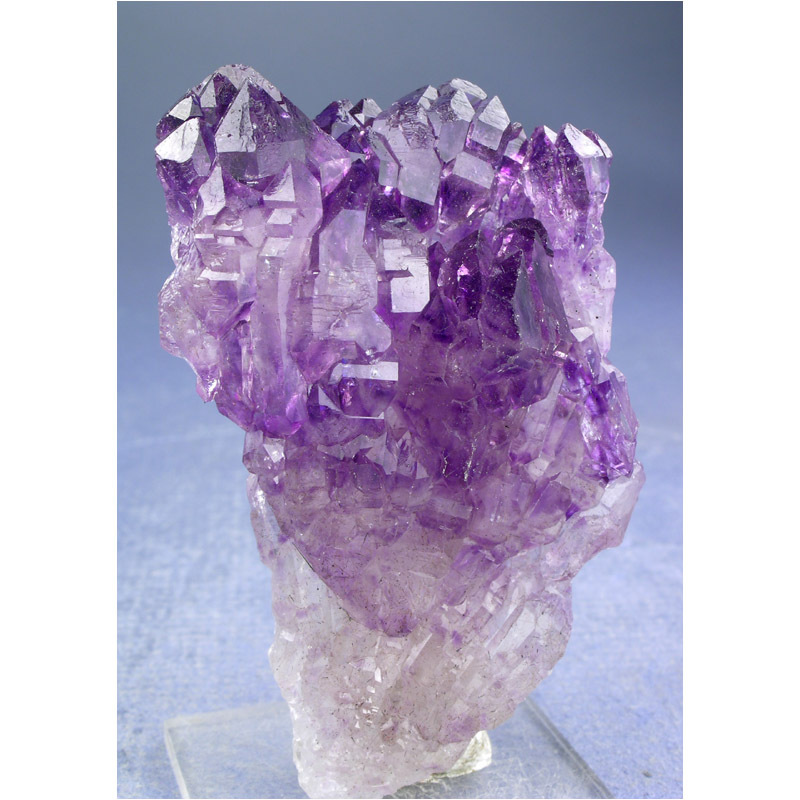 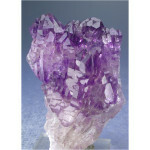 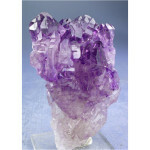 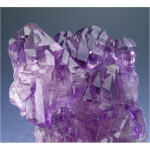 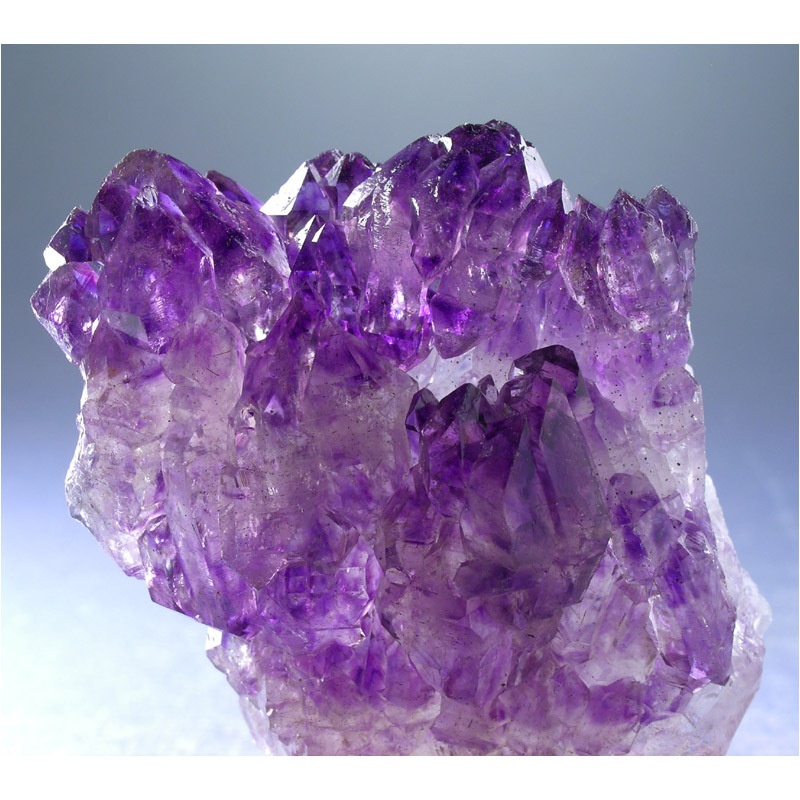 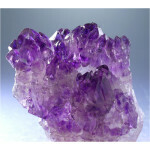 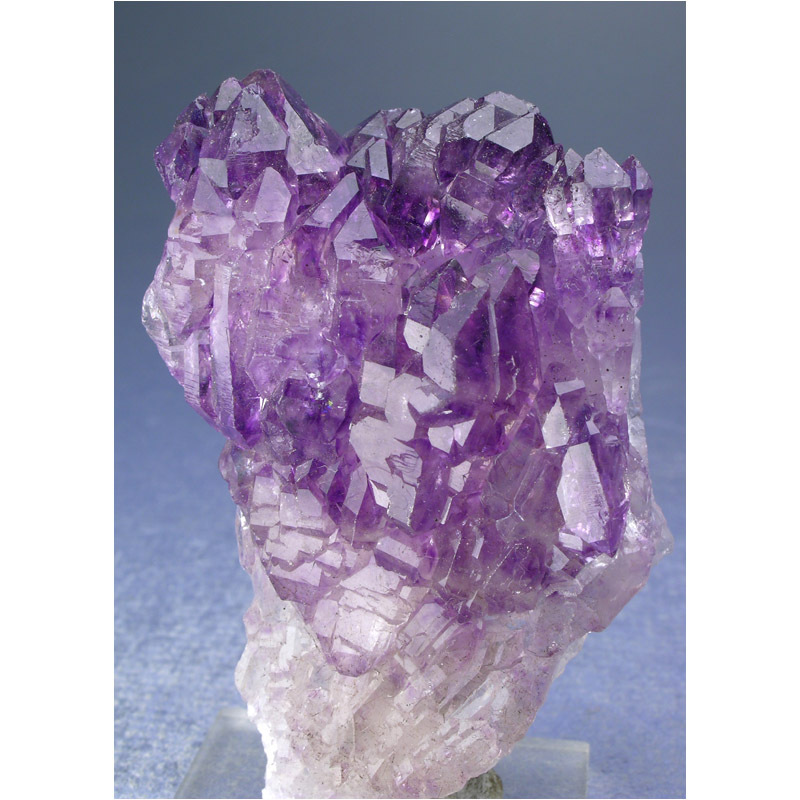 A spectacular grouping of “elestial”, zoned Amethyst SCEPTER crystals from Southern India. 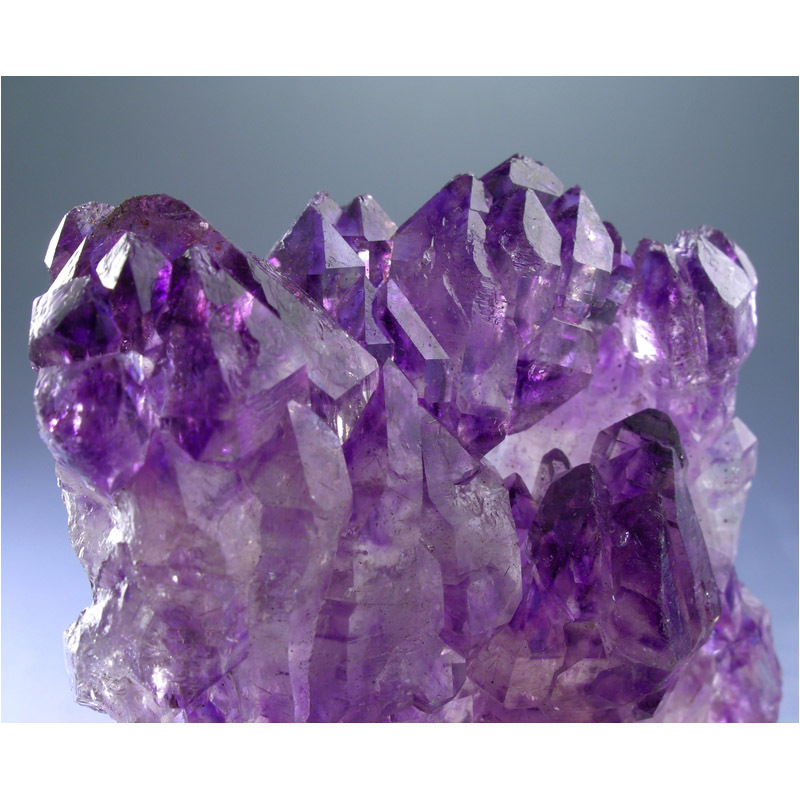 The crystals exhibit countless intricately detailed crystal faces that together create numerous gorgeous castle-like formations. 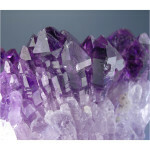 Looks equally beautiful whether lit from the front or from behind, with loads of amazing details to explore. 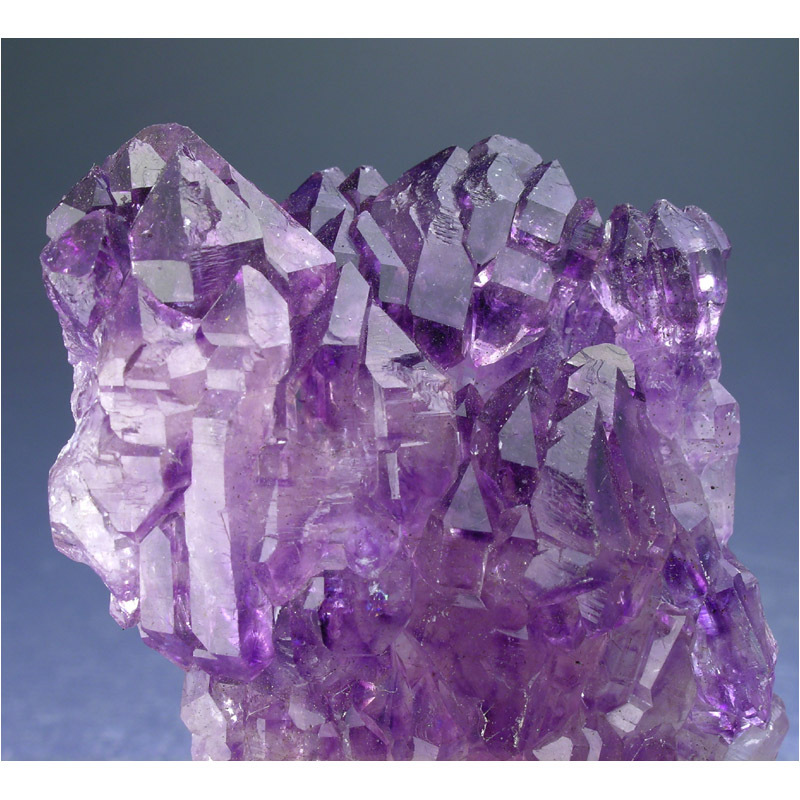 Great color and contrast in a gracefully balanced composition all add up to make this a very choice collector’s specimen. 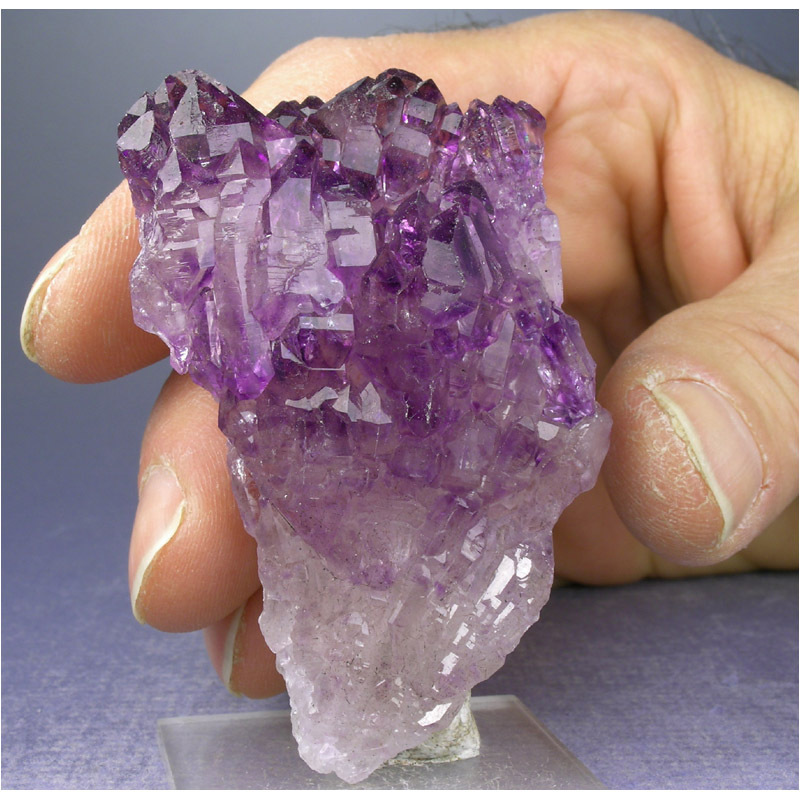 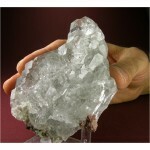 Our ONLY specimen of this uncommonly beautiful material. 6.9 x 4.4 x 2.2 cm.